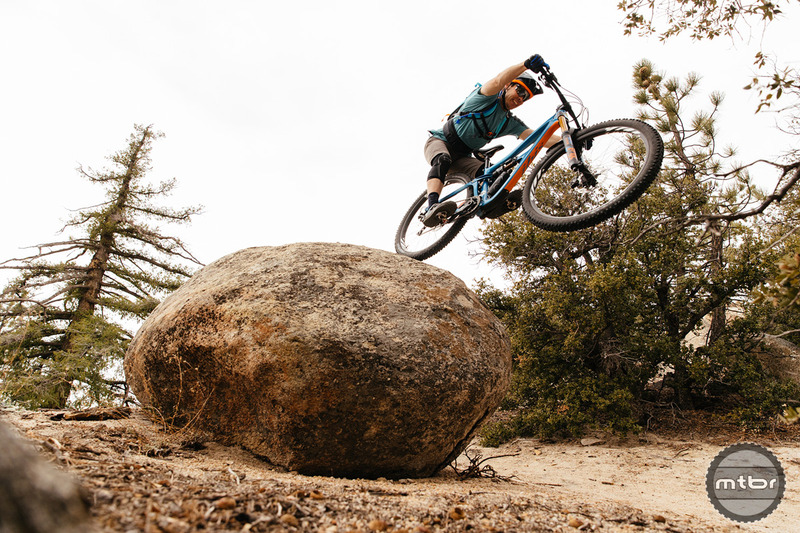 Rock drops and sandy corners are all part of the San Gabriel riding experience. 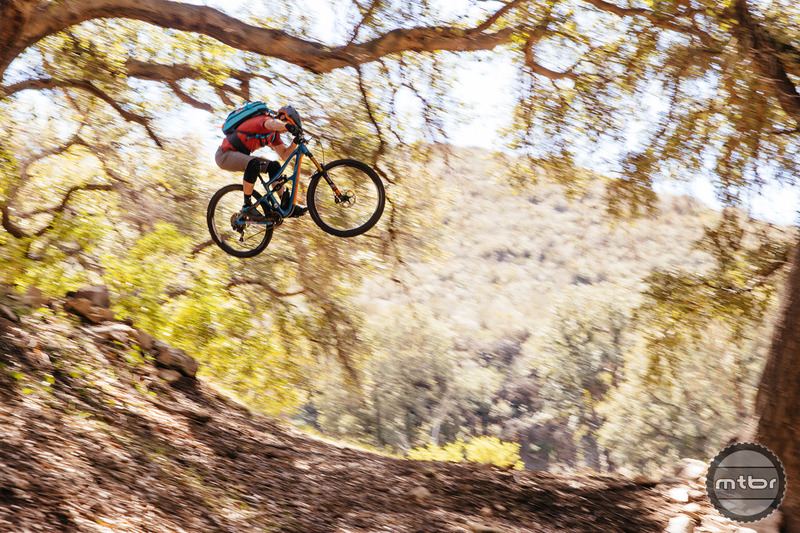 Ever wonder what it would be like to rip the new Ibis Ripmo around the trails in San Gabriel Mountain range? Jeff Kendall-Weed did, craving fresh test terrain for his new ride. So he traveled back to his boyhood stomping grounds in search of inspiration and escape from the winters of his new Washington state home. 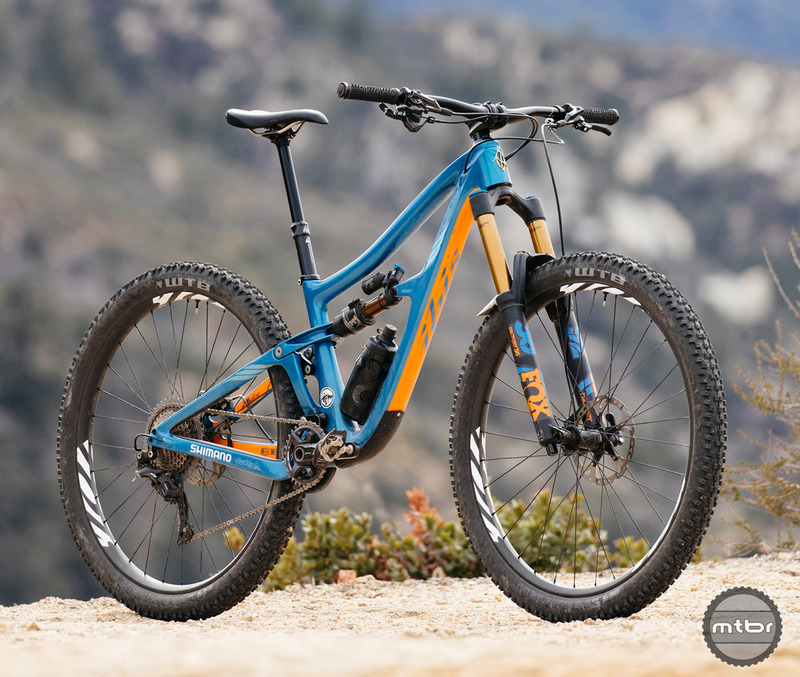 Check out Mtbr’s First Look and First Ride Impressions of the new Ibis Ripmo. Growing up in the Redwood rainforest of Santa Cruz, California, Kendall-Weed took the soft, black dirt that lined his local trails for granted. On frequent trips to Southern California, he raced within the confines of suburbia. Compared to the beautiful, steep hills of the central coast that he’d come to know and love, it was a serious surrender to travel to SoCal race courses, consisting of trails that seemed underwhelming in comparison. Even worse, while on those race courses in the L.A. basin, through the smog, one could see legitimate mountains soaring above the city. Near the top of the San Gabriel range. Fast forward 15 years to the launch of the new Ibis Ripmo. Kendall-Weed knew nothing about the bike, but the snow-covered trails where he called home in western Washington State made it impossible to open up the throttle and fully experience this new ride. But a few friends had recently claimed that trail conditions in these mysterious southern California mountains were really, really good. Kendall-Weed’s new Ibis Ripmo in the California sand and not the Washington snow. Kendall-Weed moved into action, called some friends, explaining he was in need something different for the first few rides on his new bike. John Watson, an L.A. photographer and journalist with a background in architecture and design, was quick to answer. 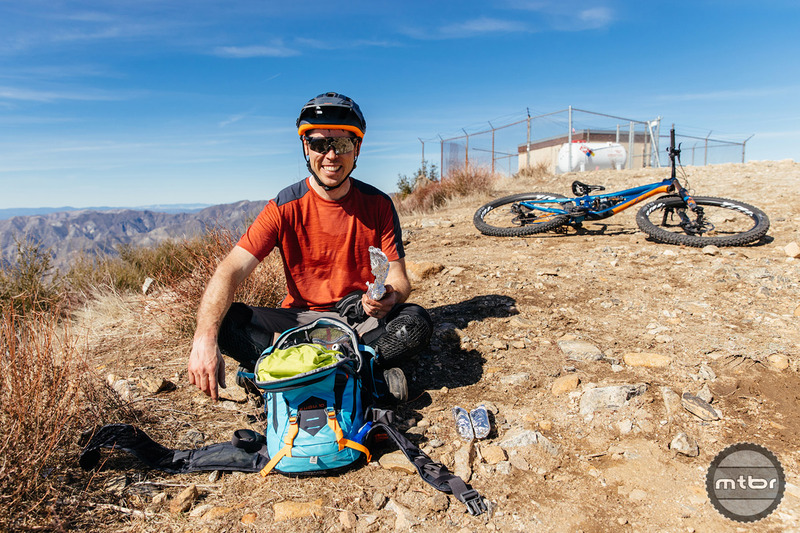 His descriptions of the juxtaposition of downtown Los Angeles in the distance with the rocky and narrow singletrack of the San Gabriel range painted an intriguing picture. The trails on and around the San Gabriel Mountains provide the perfect backdrop for Kendall-Weed’s riding style. A couple short flights later, Kendall-Weed arrived in the heart of the frantic, concrete metropolis known as the City of Angels. At LAX, he met up with Logan Nelson, a friend who he has collaborated in previous video projects and would be handling cinematography for this trip. From the airport they braved the traffic of the interstate to begin their adventure in Simi Valley in search of these mysterious trails and adventure. Jeff Kendall-Weed stoked on new trails and the Ibis Ripmo. To see what happens next you’re gonna have to watch the video and live the adventure for yourself. Don’t forget to check out the Ibis Ripmo at www.ibiscycles.com. Rock drops and sandy corners are all part of the San Gabriel range experience. Near the top of the San Gabriel range, the endos are far from easy. Kendall-Weed’s new Ibis Ripmo, in the California sand and not the Washington snow. 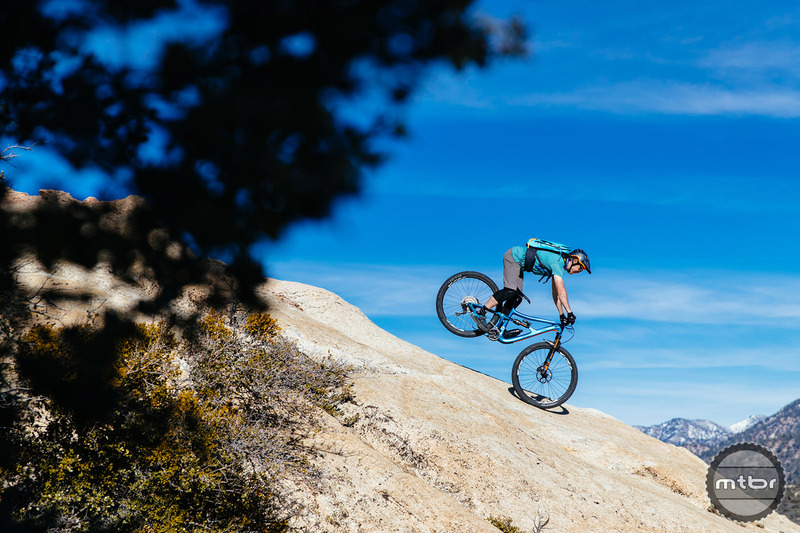 The trails around the San Gabriel range provide the perfect backdrop for Jeff Kendall-Weed’s riding style.